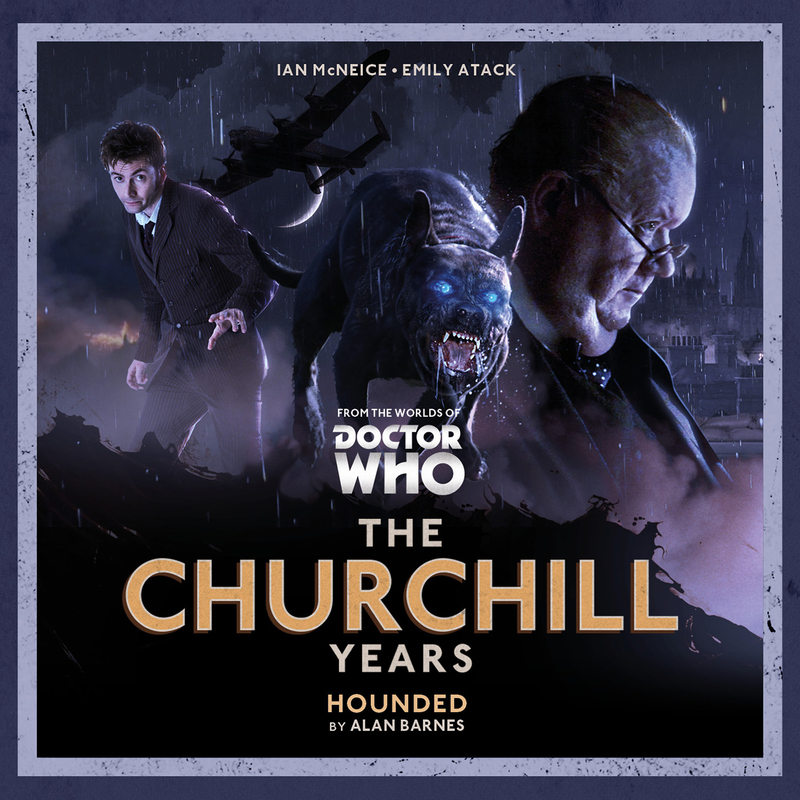 An interesting beast, this collection of stories returns Ian McNeice to the role of Winston Churchill and covers all the newly licensed incarnations of the Doctor (ie ninth – eleventh). It has no TV companions, instead relying on a range of other characters to act as ersatz companions. For me this was an interesting set of stories, has a lot of potential and gives a new angle on the various Doctors. In style it is in the mould of The Companion Chronicles being heavily narrated and with the actors who played the Doctor. Instead Ian McNeice gets to do most of the heavy lifting. Welcome to The Churchill Years, Volume One. 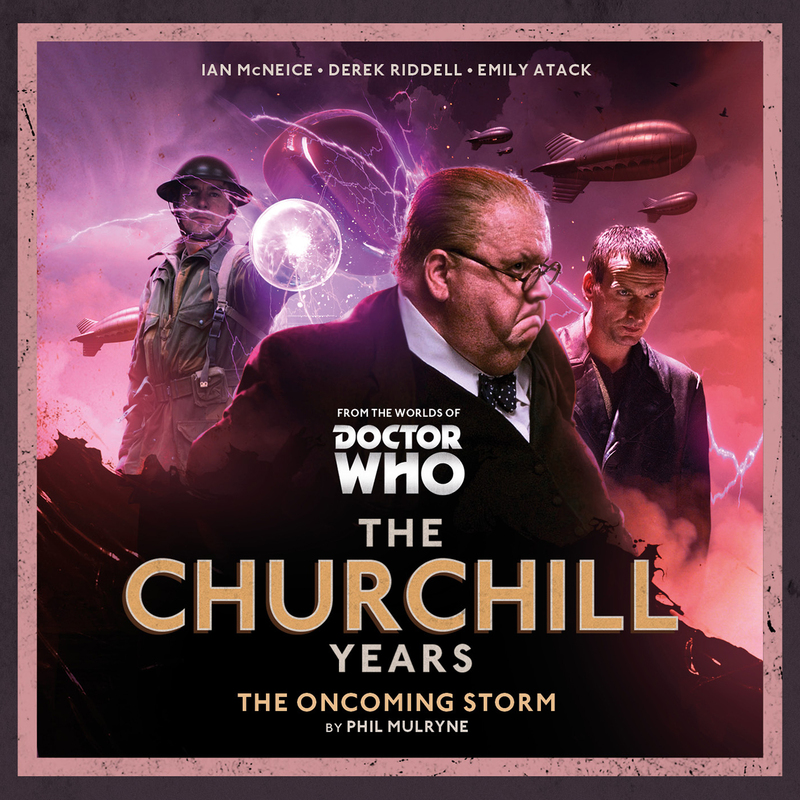 Phil Mulryne brings Churchill to audio in The Oncoming Storm and steals the title from everyone else! Emily Atack plays Churchill’s PA Hetty Warner as London is faced by a threat even bigger than the Nazis. Can the man in the scruffy coat, revealed as the Ninth Doctor help? Of course, but first this sole survivor (or so he thinks) of the Time War has his own view on war and a reluctance to get involved. Set near the start of his tenure (and presumably pre-Rose) this story finds some new twists to add to an otherwise staple diet of aliens impersonate humans and roam London. Ian McNeice is spot on as Churchill, Emily Atack brings a charm and determination to the part of Hetty Warner and the scene is set for the rest of the collection. Alan Barnes brings the Tenth Doctor to proceedings in Hounded, and Hetty Warner is still present and the action still firmly rooted in London of the Blitz. Hetty gets to meet her second incarnation of the Doctor and we get a little bit of paradox with messages needing to be sent after the Doctor arrives so he can appear. That aside this is (as Alan Barnes freely admits) derived from Hound of the Baskervilles and focusses on Churchill’s well-known depressions (his black dogs). I was in studio when this was recorded so this story holds a special place in my affections. While trying to help the Doctor is, instead, arrested as a spy and must free himself before he can help Churchill. The story has some great scenes set in St James’s Park and mixes the psychic with the technical and finds a way to remind us how much pain there is hiding inside the Doctor’s own memories (an idea also used in the Lucie Miller story Phobos). 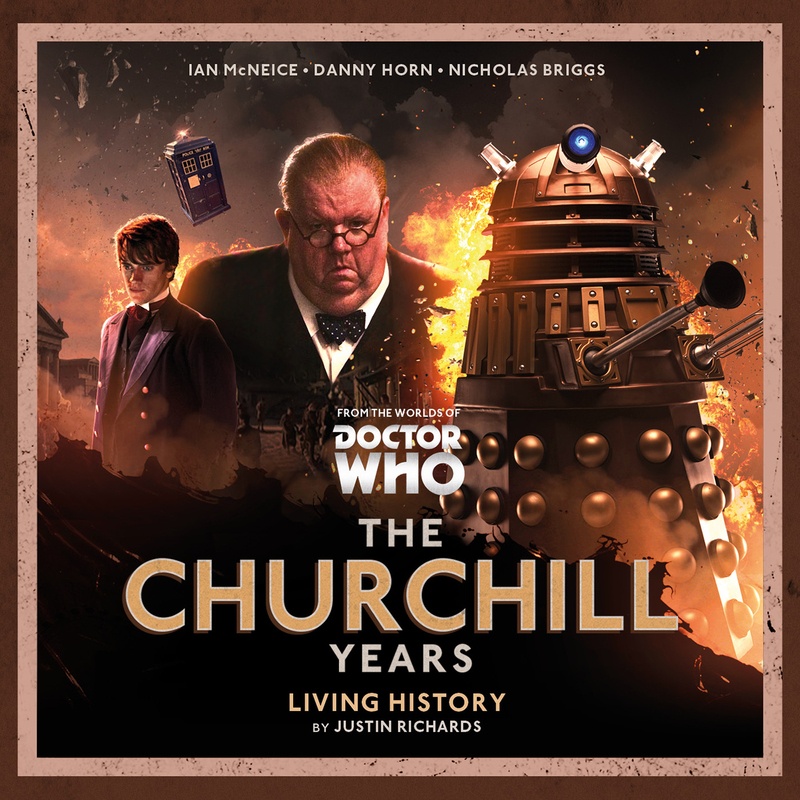 The action jumps forward and Churchill gets a trip in the TARDIS in the Justin Richards story Living History. This quickly sidelines the Eleventh Doctor leaving Churchill and Kazran Sardick (Danny Horn) in ancient Britain meeting Julius Caesar and dealing with Daleks! This isn’t a spoiler as the Dalek is visible on the cover. Sardick acts as a replacement Doctor as he and Churchill meet Caesar and various Britons before they have to organise a battle against Daleks. Plenty of action, and good use of technology in the solution, even if the Doctor has to arrive just in the nick of time at the end. 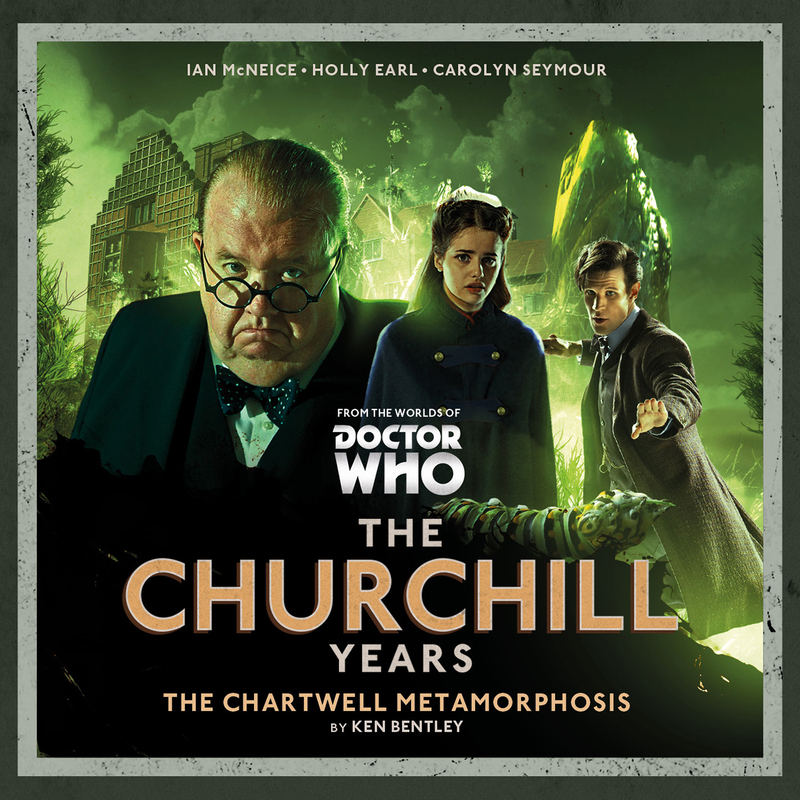 The final story has Churchill in his latter days at home in Chartwell in the Ken Bentley story The Chartwell Metamorphosis. This has Lily Arwell (Holly Earl) as nurse and also as the eyes and ears of the Doctor as Churchwell is dabbling in things he shouldn’t. There are excellent performances by Carolyn Seymour and John Banks in a claustrophobic tale mostly focussed on Lily trying to save Churchill from a fate worse than death. This story allows Churchill to reflect on his life and ageing and shows him still capable of great naïvety. Once the listener realises exactly what is happening (and things do start gently) this is rather chilling. Listening to the extras and chatting to Matt Fitton in studio, a lot of thought went into what to do about companions. By no stretch would budgets/ schedules allow for the idea of Rose / Amy / Rory / et al (though we have had River and will soon have Donna) in the set, and having those characters provided by narration might have stretched the style too far, as Ian McNeice already had a lot to do. Adding Hetty Warner worked, but she wouldn’t be around for the whole of Churchill’s life. This brings us to Kazran Sardick and Lily Arwell. I wouldn’t have thought of Kazran, and the Christmas Carol episode was enjoyable but hadn’t stayed with me. If you ignore his sudden interest in Churchill and Caesar, the character works well in this story and has a good mix of future knowledge, youth and character. I thought the chemistry with Churchill really drove Living History and I hope Danny Horn makes another appearance in the future. Again a Christmas special character, and one of two strong guest appearances (along with Claire Skinner) the character is a good fit to the calendar and prepared to have a go while not being gung-ho in her heroics. Again I’d enjoy listening to more. I can understand why some listeners aren’t sure about this set of stories. 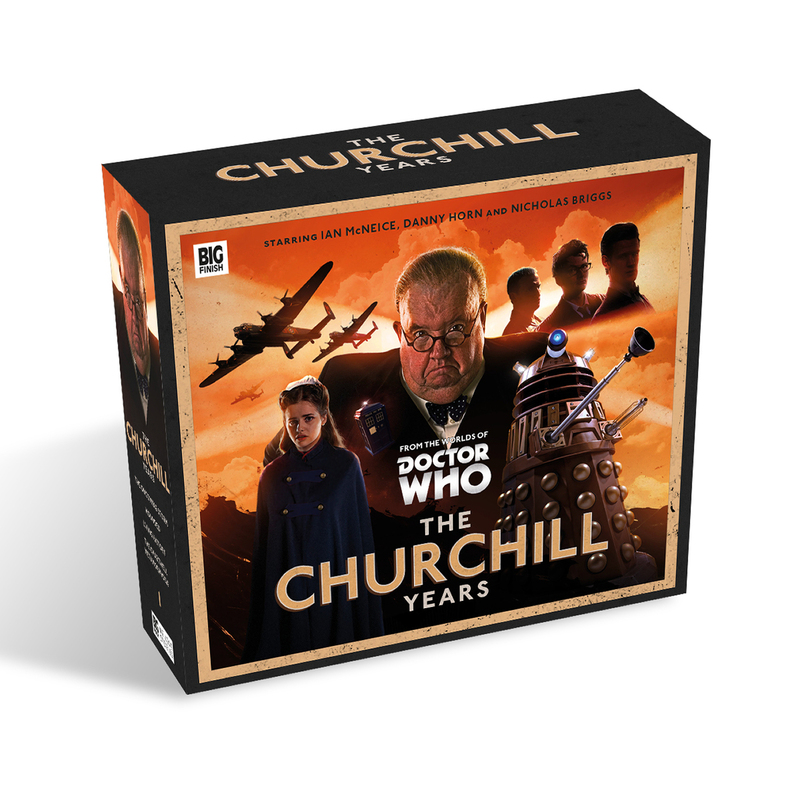 Churchill was a strong figure in a tiny number of stories and a real person who (we assume) didn’t really spend a lot of time focussed on alien threats and we can’t have his life saved too much by the Doctor else it reduces his stature. This is also a heavily narrated style; I like that, not all fans do. For me I would consider going deeper into Churchill’s past with earlier Doctors and even consider The Players by Terrance Dicks as a source. Just my thought!